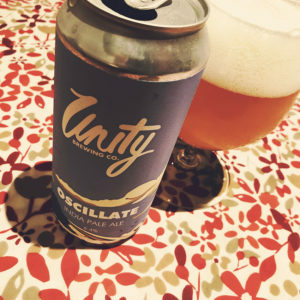 Unity’s Oscillate is an India Pale Ale that changes its hop varieties with each brew. 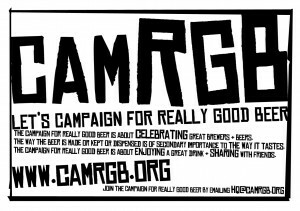 This version uses El Dorado, Vic Secret and Simcoe, along with a lovely soft and creamy malt bill and a mix of English and American yeast strains. The result is a big bold fruity beer with a soft and indulgent malt body full of waffles and pancakes, honey, caramel and brioche, a pen enormous freshly chopped fruit salad aroma and lashings of juicy hops that tease y9u with mango and pineapple, kiwi, orange marmalade, sherbet lemons and tobacco leaves, all wrapped up in a resinous pine jacket. In the finish the yeast adds even more earthy fruitiness, giving a sweet fleshiness that rounds off what would be a dry bitter finish.